No matter how good your site or blog might be, it’s very difficult to attract and retain a following without a complementary social media presence. Of course, this adds cost in taking up extra time to make the relevant posts, and it’s also easy to simply forget to update social media accounts. The plugins listed below streamline and automate this process while also adding a number of cool and useful features, and anyone with a WordPress website or blog should definitely consider trying one of them. If you’ve been blogging for some time, you undoubtedly have a lot of older “evergreen” content that can potentially requires little to no alteration to get it in front of a new audience to whom it would still be relevant. Searching through your archives can be time-consuming, however. Revive Old Post Pro helps to automate the process, automatically sharing old posts to your various social network accounts. The base version is free, but there are three paid upgrades available for a one-time payment. The “personal” upgrade is usable with one site or blog and adds the ability to filter by category, shorten URLs automatically and generate hashtags based on tags. The “business” upgrade further adds the ability to schedule posts in advance and grants a license for three different sites. The “marketer” package allows unlimited use across as many sites as you would like. It is a great plugin and comes with features other plugins do not have but it will cost you more. This plugin does not have a free version and requires a one-time payment to obtain, but it also allows the user to link up with an unlimited amount of Facebook, Twitter, Tumblr and Linkedin accounts. Other social media account types are not supported, but the one-time fee of $20 asked here is lower than most plugins of this nature. It is also very reasonably rated on CodeCanyon scoring 4.38 out of 5, and has been purchased 782 times which is a good sign. I will be surprised if authors don’t increase the price in upcoming months, so I’d purchase it sooner if the price is an important factor to you. For the price of $20 you’ll get support for 6 months, so very low risk to go wrong if you ask me. 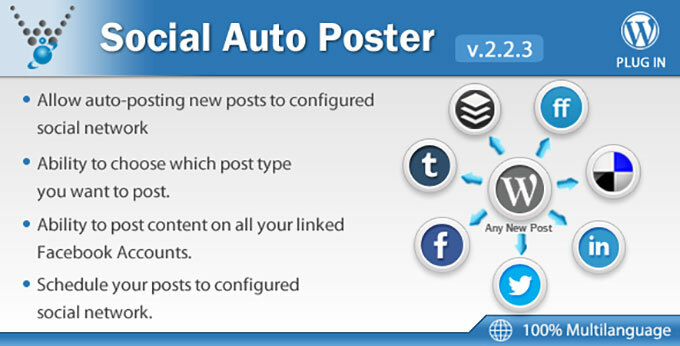 Social Auto Poster requires a one-time payment of $34, but this payment gets you unlimited connectivity with Facebook and Twitter accounts and the ability to connect one account each from LinkedIn, Tumblr, Delicious, FriendFeed and Buffer. 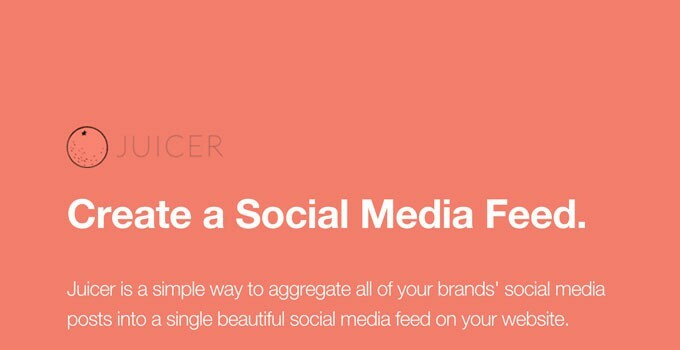 It’s a fairly basic automated post creator, but does offer the ability to create social media posts from previously published entries, which not all of these plugins offer. 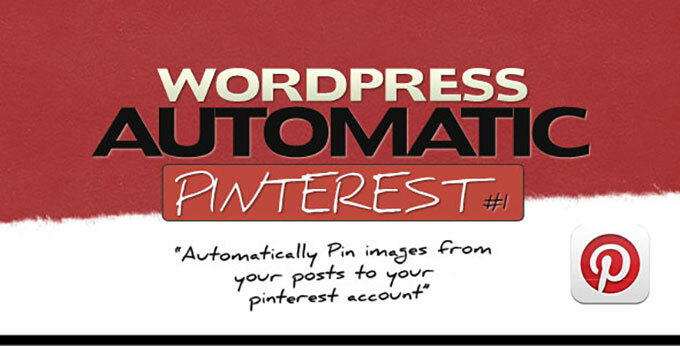 This Plugin is more popular than ”AccessPress Social Auto Post” but does cost a tiny bit more. Obviously it’s a case of figuring out whether you need Social Auto Poster extras or not. 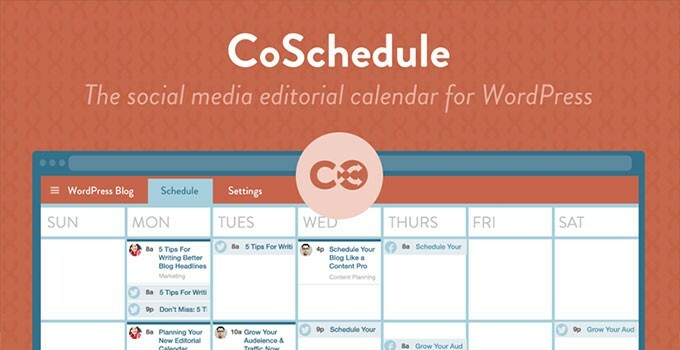 CoSchedule is an all-in-one calendar that lets you take care of both social media and blog posts from one simple interface. Of course, you can cross-post as well. Rescheduling a post is easy with a convenient drag-and-drop feature, and there’s also a team management element for multiple users. The paid versions simply add support for extra team members and extra social networks. The free version has all the basic functionality, but limits you to integration with only five different accounts. Post Update: The free version os no longer available but you can Try CoSchedule FREE For 14 Days! This is a feature-rich panel that integrates with WordPress and lets you manage both your site/blog and all your various social media accounts from one interface. Added functionality includes custom scheduling and automated URL shortening. The paid “personal” license is good for one year and one site. The “small business” license adds support for two more sites, and the “agency” license opens it up to an unlimited number of sites. Jetpack offers a suite of WordPress enhancement features, like improved statistics tracking and a revamped comments system. In terms of sharing to social media, the “Publicize” feature is the one you want to look at. This is a fairly standard post-to-post conversion tool, but has the benefit of extreme simplicity and accessibility. If you need to post to an API service like Pinterest or Google+, however, you’ll need to look at other plugins as that functionality is simply not available here. Juicer is more of a public-facing social media organizer, automatically sorting all the posts from the attached social media accounts chronologically. The free version has full functionality, but requires you to display a Juicer watermark publicly and limits the feed to one update per hour. The paid version removes the watermark and updates every 10 minutes. 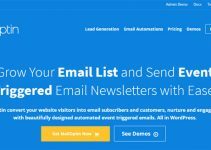 MailChimp Social is a solid free plugin for those who are only looking to share to Facebook and Twitter. It actually goes a step beyond most plugins in that it also automatically converts Facebook and Twitter comments back to your original post, and you can even use multiple accounts. The only big limitation here is that it doesn’t integrate with any other social media services. There is a premium version available that adds multiple AJAX forms, eCommerce 360 integration, email notifications, added options for styling forms and detailed statistics. MicroBlog Poster links up with nearly every type of social media account. What’s even better is that you can connect multiple accounts for Facebook, Twitter, LinkedIn and Tumblr. It’s also possible to schedule social media posts about content that has already been published. The very best part, however, is that it’s totally free! SNAP allows for automated posting to just about all of the major social networks, and some of the more minor ones too. Not only that, it integrates with other blogging platforms (like Blogger and Tumblr) for added functionality or cross-posting between sites. Facebook comments can even be automatically imported as WordPress comments! The lone downside is that only platforms that don’t require an API Library setup are supported by the free version. If you want to integrate with Google+ or Pinterest, you’ll have to pay a yearly fee for the “Pro” version. OnlyWire integrates with your site’s RSS feed to automatically convert these entries to social media posts with the attached accounts. The free version of the plugin supports only four social media accounts, however; you’ll have to pay a small monthly fee to add support for 50 social media accounts and three different RSS feeds. This is almost a required plugin for those who regularly pin lots of images from their posts on Pinterest. When a post is published, all of the images are automatically pinned to your Pinterest account. The downside is that there is no free version. The paid version is only a one-time payment of $16, however. It includes the ability to pin unlimited images, pin from both featured images and thumbnails, delay or schedule pins, and integrate with WooCommerce. This plugin is exclusively for WordPress users who also have a Buffer account (an app that schedules social media posts for multiple accounts). WP to Buffer basically just automates the process of pushing a newly published post to the Buffer account. Most social media networks are supported with the basic free version, but if you want to publish to Pinterest you’ll have to upgrade to the paid “Pro” version. As the name indicates, this plugin is aimed at those who post to WordPress and then attach a notification about the new post to their Twitter account. This plugin simply automates the process, sending out a customizable Tweet automatically that links to the new post as soon as it is published. The free version automatically converts post tags to hashtags, shortens URLs and has support for Google Analytics. The paid Pro version adds the ability to delay or schedule Tweets, attach images to them automatically and schedule Tweets for posts that have already been published. 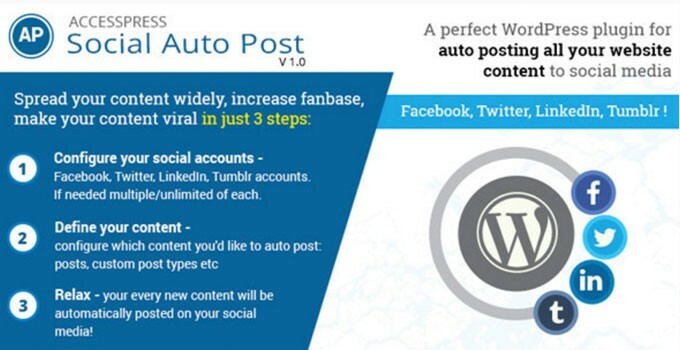 This plugin is about the most basic means available of automatically generating a social media post when a WordPress post is published. It’s rudimentary, but it’s also completely free and supports filtering shares by post or category type. Social Booster is another social media auto poster and scheduler for WordPress that was released only recently, at the beginning of 2018 to be more precise. Similar as other plugins of this category Social Booster’s main functionality offers WordPress users to automatically publish new or older blog posts to social media sites, currently however, the 1.0.0 version only supports auto-sharing to Facebook and Twitter. We were however told by RexTheme, Social Booster developers that an update will be released to support other platforms too so watch this space. Just to add, this is a free plugin and the documentation they have really does look simple and easy to follow making it an easy to use plugin for everyone. Do you know any other WordPress auto post to social media plugins that can help with Social Media automation? Let me know in comments. Tweet Wheel is a good option too. Do you know of a plugin that will let you add custom content for social media or just Twitter, to each post? So that when the post is shared, that content is used as the Tweet or post? Thanks Joe, will check out the Tweet Wheel. About custom content for social media: the Social Warfare plugin has that ability. You can edit Social Warfare custom options for each post and add social media title, social media description, custom tweet and even upload a custom image. You should check it out. Hi Eddie, Thank you for the post. I am really surprised you don’t have Blog2social in the list. It is one of the finest social media cross-posting plugin, a user can cross-post blog posts on social media automatically, customized and scheduled. It allows the post author to advance directly to the posting dashboard of Blog2Social Word-press, in which pre filled posting texts are provided. After customizing the texts the author schedules the posts or publishes them without delay. This is the first visit to your blog and I’m impressed with the job that you are doing here. I’m a WordPress enthusiast who would like to explore new stuff. I’m familiar with the benefits of social media marketing and to reach the target audience with it. I aware of few famous WP plugins for social media sharing but most of the add-ons are new to me. AccessPress Social AutoPost seems interesting, I’ll try it for sure. Keep doing your great job, I’ll try be regular on your amazing blog to learn the great WP stuff. Thank you, Nirmala. Your feedback is appreciated. Great list Eddie! I’m interested in ‘revive Old Post’ for my content even though I don’t currently have that many posts. I have heard of Co-Schedule but not too many of the others in the list. Great content by the way and I will share this post too. Thanks! I prefer Jetpack. It’s the easiest to use and integrate. Great list! I’m going to check out some of the other ones too. You should try CoSchedule then. The calendar and social media buffer they have created is great and works well – especially for content heavy and big sites. I’m not a fan of anything automatic when it comes to social media. I prefer to hand pick and post the links as I choose them. Not every post is a winner – or of interest to me. It’s too easy to fall into using social media as an automaton. I totally agree with your comment. I’d rather see what’s being posted to my Social Media accounts. I don’t use any of the automatic posting plugins because non post the way I want my content posted. In fact, the plugin, “Revive Old Posts” caused me to lose many friends and followers on Facebook. Thanks for posting this. 1. Tweets to WordPress. or and blogspot website. How to auto-publish my tweets to my wordpress blog or blogger webpage? Is there a way to automatically turn tweets into blog posts for my WordPress blog or my blogger webpage? 2. How to auto-publish my facebook page posts to my Facebook group page which I admin? Sadly they all leave something to be desired. Jetpack is horrible idea as its just extremely bloated and the only thing I’d use from it would be sharing. But, I’m not going to install plugin larger than my entire WP install just for that. Rest are bad plugins unless you buy pro, and even then I was not impressed. My solution, for now, is to manually share to Facebook, then for rest I have IFTTT. And only reason I have to manually share to FB is because self hosted IFTTT integration appears to be broken for now. You can use atconten plugin too, I use social networks like Postwaves, Weheart it, and there is no plugin for them, but there are very powerful networks that have to consider if you want more traffic to your website. Informative article, thanks. This is all new for me, seeing as I’m starting out….guess I’ll go by trial and error on which works. Cheers. CoSchedule is a very good software but its not a free anymore. Thanks Arvind for highlighting this. I have updated the post now. Good list here. Thanks for posting Eddie! I believe that Social is no longer an option. I understood that MailChimp was discontinuing it. I’m using Microblog Poster for auto publishing to my Linkedin and Facebook. Powerful plugin, i would recommend to everyone. Thanks for sharing this list with us. Thank you, for the list it was very helpful since I am a newbie to all of this . I will look into some of them and I also learned from all the comments thanks everyone ! Great list! I have been searching those kind of plugins for some time now 🙂 Thank You! This is cool. I have just started using Microblog Poster. It is such a cool idea to have something posting all your articles to social media free of charge. Why should I need to pay? Great post, thanks for the resources. I went with microblog poster for the multi-authoring feature. Microblog Poster also supports multiple accounts per social site. It has a lot of features in free version and works without bugs. Great wp plugin! Good list, thanks for writing. There is also the possibility of using Zapier and IFTTT to post, certainly to Facebook. Great list. I have finally found a solution to my problem through this post. Thanks indeed, Eddie. 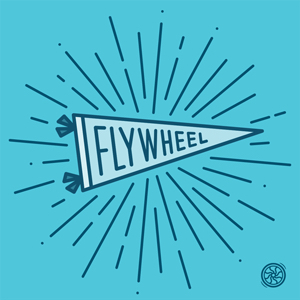 great post I was trying to implement Jetpack’s publicize on my website. Till now got errors, used some scripts and tricks but still not working with me. Glad to know about these options. Thanks for sharing this. I use the pull in wordpress features to send my new posts to Facebook and twitter but want a was to tweet them again later in the same day. E.g. the original post is scheduled to go out at 6am and twitter/facebook is automatically posted to. I would like to tweet this again a few hours later. Do you know any services that can do this? It seems share to buffer and have buffer set to go at a certain time each day might be an option. 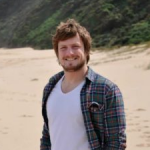 Agree with Nigel, service like IFTTT is a good option to work with WordPress. Using Draft Scheduler for your posts and trigger them with IFTTT to automatically post to social media. Nice Sharing…Every Blogger & Marketer Must Read This Resource..
That’s a great list and I have already 6-7 of them on my screen and comparing each other with their prices and options. 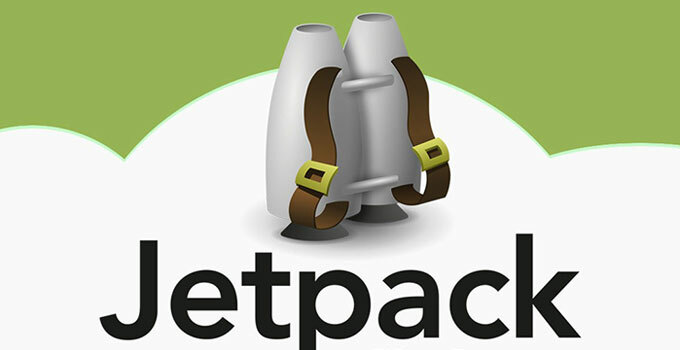 I use Jetpack at the moment and it works well. I find it save time going to each social media site and adding it manually. I write music as a hobby and I’d rather speed my time making music than trying to post to the various site. I haven’t tried any other plugins mentioned on this page. MicroBlog poster is no longer “completely free”. If you want to have an image with your post to Twitter for example, the free version won’t support it. In order to get an image posted, you must subscribe to the first level payment. I didn’t check the others (facebook, etc.) to see if it posts pictures or not. I am using SNAP Pro and have been for some time. My only complaint is that the “auto-re-post” does not work, and they haven’t created a new version to support repost. The authors say they will (in version 4.0) but we have been at 3.x for a long time. SNAP however, is a great plugin and posts to more social networks than any of the others I have found. SNAP’s support leaves a little to be desired. Although they do reply, they don’t do anything but point you to some item in the FAQ, which in most cases, people have already read. In my case, it did nothing for the problem I was having. Frustrating when you pay for a “pro” edition, but the support is so poor. But am I the only one that sees a big difference between “sharing” and “posting” on social media? I installed the Social Media Auto Publish plugin, only to recognize that “Autoposting” is not what I want, it’s “Autosharing” what I need. Can somebody recommend a plugin or a method which shares my blog entries on my facebook page? it’s ok i found the settings for sharing. great post anyways and thanks for the work! Please correct your blog. NextScripts Social Networks Auto Poster (SNAP) is NOT available for “one-time payment for the “Pro” version.” It’s an annual fee of at least $49/yr to autopost to google+, pineterest and some other social media. This is a classic bait and switch and very greedy at that. I am very disappointed. No one time payment. they want to get paid into perpetuity for one little piece of code. AFter spending entire morning setting up for facebook and twitter I realize I have to find some other plugin to get free autoposting for google+. My apologies for not responding any sooner. Not sure how I missed your comment! I’ve updated the post, thanks for bringing that up. Thank you for the list of options. I have tried Auto-Post and it works nicely with text and images but I have a special request. Does anyone know of a Plug-in that will load videos to the social media. The ones I’ve tried create a text link back to the WP post but there are no images to grab the viewers attention. These are small 30 second videos that are hosted on the WP site. I know I can manually load the video to FB but I am trying to automate every step. This all starts with a plugin called Postie. Postie lets you email txt, image or video to a defined email and then pulls it into your WP site. The Social Media plugins then take it to their site. One step and everything is done. I just want to find a solution for videos. To be perfectly honest, I’m not aware of such a plugin. Having said that, to attract attention and clicks you can continue using your existing plugin or Revive Old Post. I’m guesting that you’re displaying videos on your site, on specific pages or posts? So if that’s the case, I would suggest that for such posts – you take a screenshot with the best moment of the video, cut it out and add a video icon to that image in the middle. Then simply use that as your featured image for the post/page. This would create attractive social sharing making it very clear that your post holds an interesting video. Facebook and other social sites would automatically fetch your featured image (which looks like a video) with the next. Hope this helps. Revive old post. Thats the plugin I have been looking for . Bit costly ($75) but I think its worth the price. Every blogger must read this fabulous list. 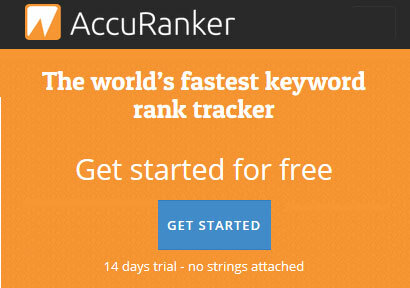 Seems like possibly Accesspress, social auto, coschedule, hypsocial and social media auto? Are those my best options? Extremely an incredible information for all WordPress blog users and even me, its new and intriguing subject. I haven’t utilized before any auto posting plugin in my WordPress blog. Simply doing a manual submission to every single social media’s. Later I chose to utilize buffer application to decrease my extra minutes login to each online networking sites. Presently, from this post, I am highly interested to have one plugin to diminish my another portion of the extra time. Expectation it any one may help me a great deal. Interested on NextScripts: Social Networks Auto-Poster plugin. I’ll attempt with this plugin and give an review about soon in my blog. Thanks again for sharing ! Keep sharing ! Thanks for stopping by. Did you have a chance to review the plugin you mentioned? If so, what did you think of it? Very informative list of plugins! Hopefully one of them does the job I need to automate the way I want, so digging in deeper. Thanks for sharing and keep up the good work. Nice post! However, I would like to know is there any free plugin that helps me to schedule the post for sharing on social media. For instance what CoSchedule do. I am using social auto poster and I am loving it. The AccessPress plugins are my favorite way to share my WordPress content on Social media. It’s loaded with features and best of all, it’s free. Thanks for the input Manish. My fellow colleague Matthew Bissett and I recently released a new plugin that serves Twitter automation : TweetBoostPRO. Our plugin focuses on creating and scheduling multiple Tweet variations for content WHILE you are creating it, so you never have to leave your content edit screen. You can also map tweets to different connected accounts. This makes our tool very powerful and intuitive to use. We hope it’s seen as top of it’s class and becomes competitive with the likes of Buffer. Post Promoter Pro does Facebook, LinkedIn, and Twitter. 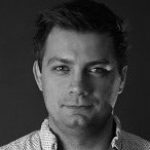 It’s easy to use and Chris (the developer) is a big contributor to the local WordPress community. Will take a look! Thanks for the comment Matt. I was looking for a replacement to Buffer and Dlvr.it when I came across your article. Thank you so much. As a result, I’m now using OnlyWire and am, so far, very impressed. Even the Pro account versions are inexpensive and the RSS feed option has just saved me a ton of time. Thanks again! Is there any plugin by which I can retweet all tweets from a list? I didn’t realize there was a wp to buffer plugin, this is going to make things a lot easier! Thanks for the article!